You are here: Home › Blog › Are You Networking or Just Connecting on Your Social Media? 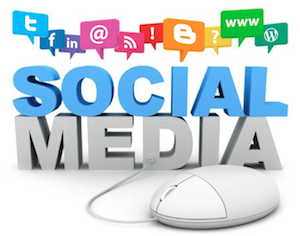 Social Media is important to the success of your business. Are you using it to your advantage? Most businesses use LinkedIn to connect with other businesses, but is that all there is to LinkedIn? Try this–it works! When I connect with someone on LinkedIn, I send that person a message to let him or her know I would like to meet them, either at their place of business or mine. For me, LinkedIn is not just about making connections; it is about REAL networking. By actually meeting my new connection, we may be able to do business with each other, or know another business that could use our help. But the most important thing is that we get to know each other and can make honest recommendations and endorsements. Also, when you make a post (AKA “micro-blog”) to either your LinkedIn or Facebook page, use the 60-30-10 plan: 60% of what you post is for entertainment, such as a cartoon or funny quote you’ve found (or, even better, come up with yourself! ), 30% is soft sell, such as new products or events you are involved in, and 10% is about selling you or your product. And of course, anything you post should be relevant to your business. I hope you find this helpful, and I invite your comments. Great post. I find that a lot of the people I connect with on LinkedIn are not in Virginia. I actually hadn’t thought of seeking out local connections. Do you actively search for them? I think it could certainly help my photography business. Hi Caroline, Yes I search out local people in companies that I want to do business with. Once I have found someone I want to link to I will send them a request to link and if they do I send a message asking if we could meet to do some networking and meet one another. I learn about their business and they learn about ours. I have actually gotten work and gained friends doing this. Try it, it works! Excellent suggestion. I normally decline all invites from people I don’t know because they just start trying to sell me their business. I just don’t have time for that. In light of your suggestion, I have changed my mind. I will try accepting links from local businesses and actively seek them out. It is definitely worth a try. Have you had much of a problem with the selling attempts from local people that you connect with? Take a look at their profile on LinkedIn and see if they are someone that you would like to link with. If you like their profile and there could be a good networking opportunity then reach out and network with them. Business comes from networking and making friends.